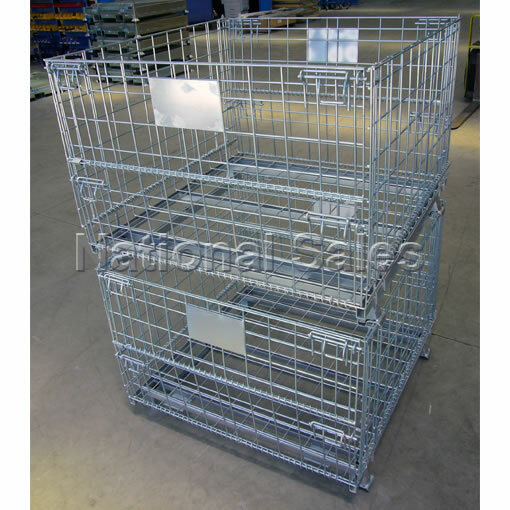 The NS-WMP-10000 wire mesh pallet cage is perfect for retail, production and warehousing applications with the advantage of being totally collapsible for economical storage and transport. 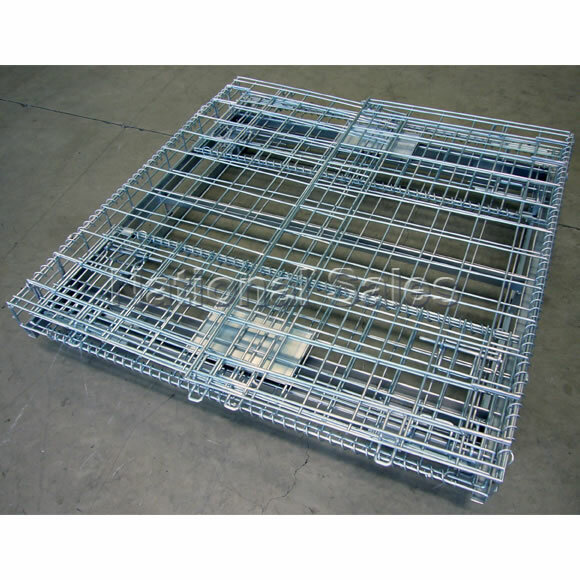 Fitted with both front and rear half drop access panels and heavy duty cross supports allowing for easy stacking in high bay racking. 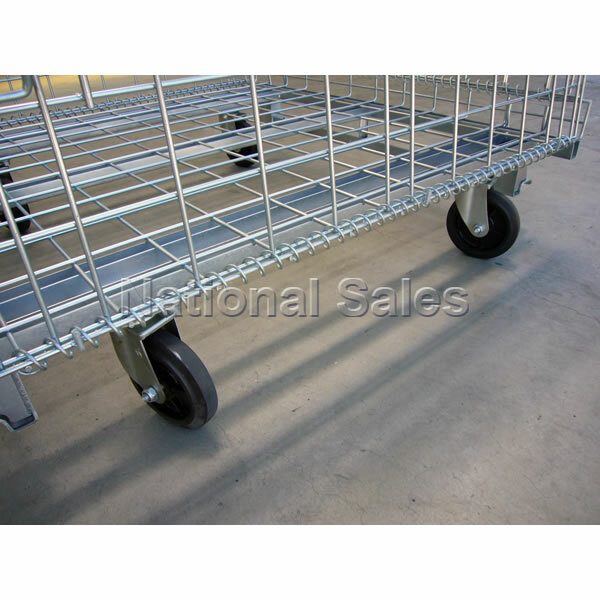 Also available are optional 150mm diameter rubber swivel castors (2 with brakes). Add extra 95mm to overall height when optional wheels fitted. 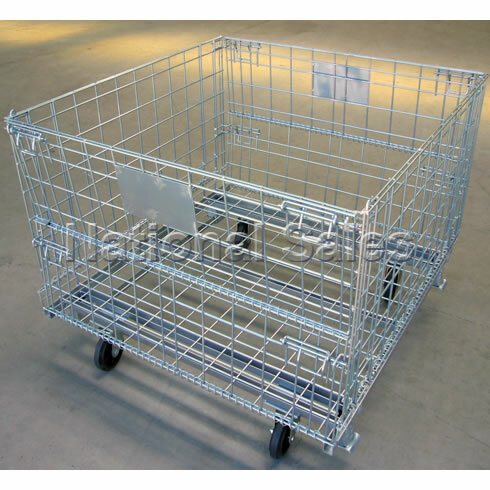 NS-PCTH-04 is versatile stackable pallet cage designed for safe storage and transport of loose or packaged goods. NS-PCMH-03 is a smaller version of the PCM-01, being only half the height. 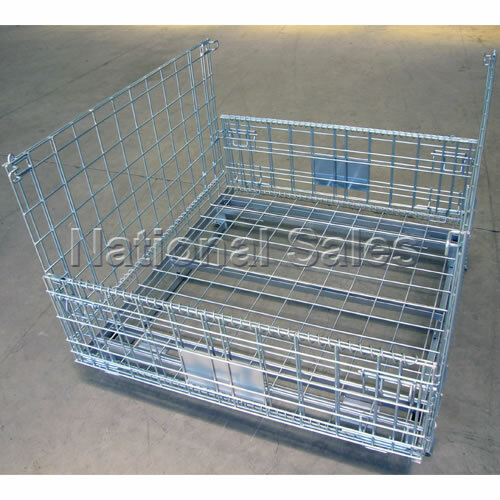 NS-PCT-02 is versatile stackable pallet cage designed for safe storage and transport of loose or packaged goods. NS-PCM-01 is a multi-use pallet size cage, designed to suit all warehousing and storage requirements. 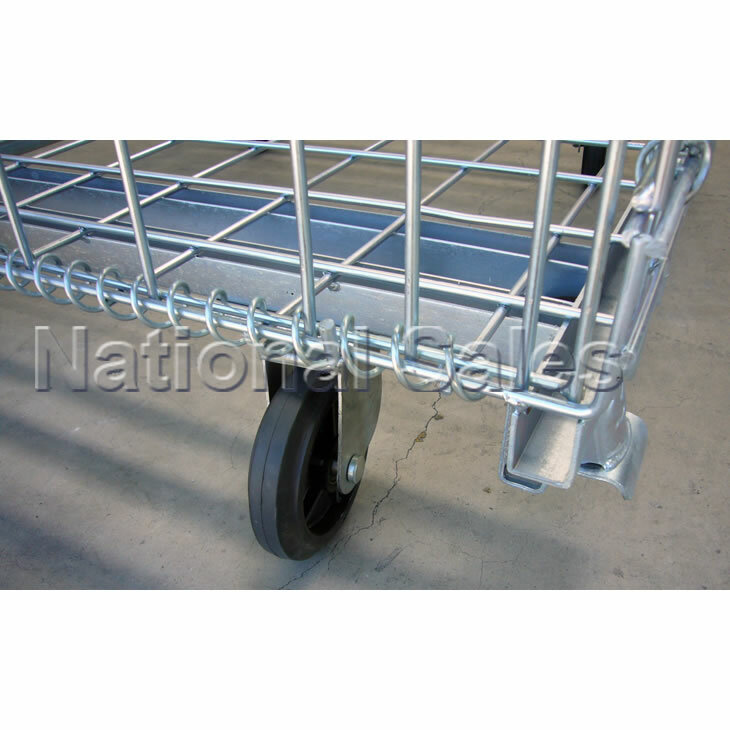 NS-PCM-01-Floor galvanised sheet metal flooring which fits over the existing mesh base floor, is available on request. 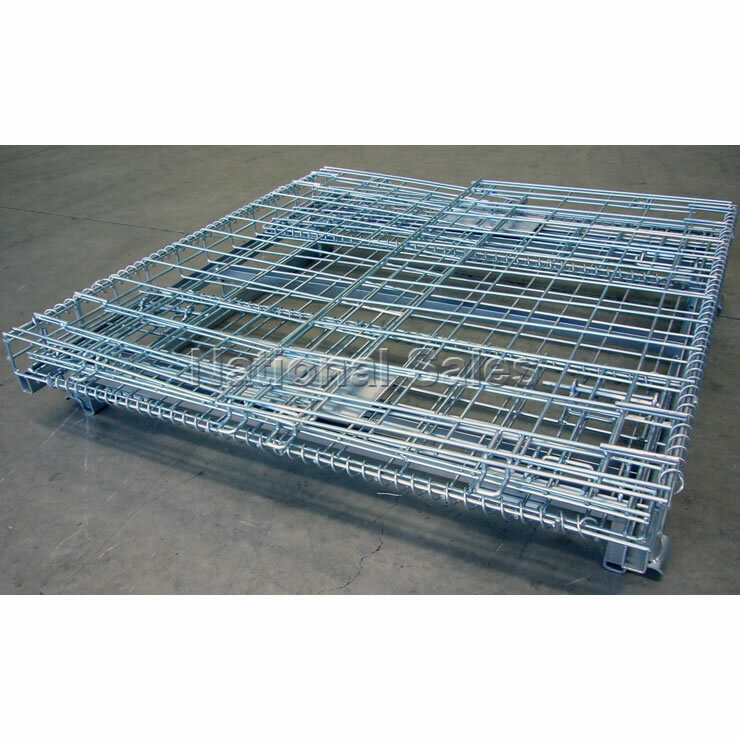 NS-STP-01 Steel Pallet is a robust designed and fully welded constructed pallet ideal for production and warehousing applications. 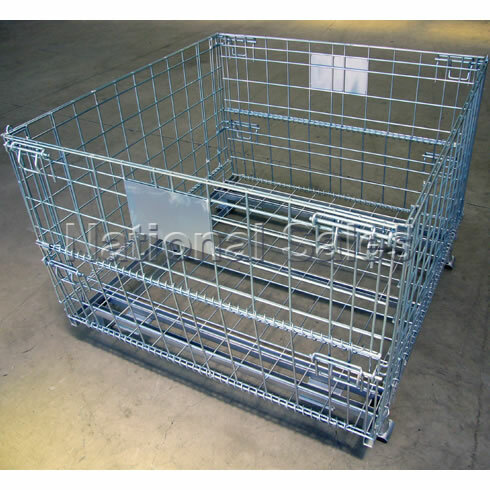 NS-MMC-01 is a versatile transport and storage cage, ideal for production, warehousing and component storage applications.